Micro Foocus authentication service is delivered globally through high performant and secure cloud infrastructure, adhering to the latest security starndards. The Micro Focus Advanced Authentication service adapts to your needs by giving you the broadest platform coverage available. When you centrealize your authentication into our service, you have the freedom to use authentication methods that best fit your needs. We use open standards and provide aggressive support for most authenticatiors and methods available. For more detailed information on Micro Focus Advanced Authentication click here or for a demo contact your favorite distributor. Highly scalable, secure SaaS offering: bring speed and security to your enterprise with a robust authentication framework. Organizations of all sizes have access to multifactor, step-up and strong authentication services which a have passed audit certifications including SSAE16 Type II, SOC1, SOC2, HIPAA/HITECH, PCI DSS, EU-US Privacy Shield, FACT and UK G-Cloud. One authentication framework for everything: Organizations with two factor authentication (or multi-factor) methods or devices are usually forced to manage and maintain multiple infrastructures. Not only are multiple authentication infrastructures complicated to manage, they are less secure. What you need is an authentication framework for all of your methods. Having a single framework keeps costs down, and Advanced Authentication framework scales to any size environment. Multi-Site Support: Advanced Authentication supports multi-site configurations and is designed to scale to virtually any performance or location requirement that you may have. Advanced authentication for Active Directory Federation Services (ADFS): ADFS can be configured to provide single sign-on capabilities for Office 365 users. Micro Focus Advanced Authentication integrates into environments that use ADFS and have two factor authentication or other types of strong authentication requirements. FIPS 140-2 Inside: Because National Institute of Standards and Technology’s (NIST) standards for encryption have been recognized worldwide, Federal Information Processing Standard (FIPS) 140-2 is important to any corporation. 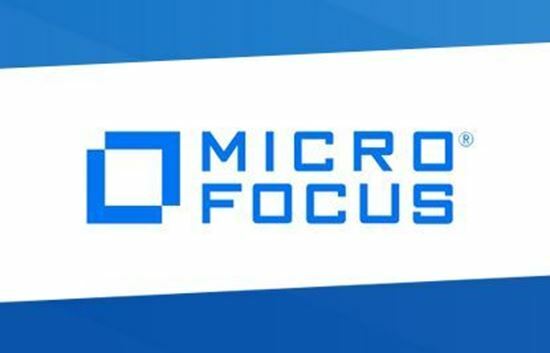 Micro Focus Advanced Authentication meets these standards so security conscious businesses and organizations operating in regulated industries can deploy with confidence. Geo-Fencing: Geo-fencing allows the administrators to define authentication policies based on a user’s specific location using global positioning (GPS) technology. Policies can be configured to limit access to only those users in the allowed locations(s). Mobile Workforce Support—Offline Login: Travelers on-the-go required to perform second factor authentication to access private information can now do so anytime they need - even without connectivity users are able to get work done. Broad platform support: Advanced Authentication provides a Windows Credential Provider, an OSX authentication plug-in and a Linux Pluggable Authentication Module. You can use methods based on iOS, Android and Windows Mobile to authenticate to Windows 7+ and OSX 10+ computers for business-critical initiatives. This broad platform support enables you to accelerate full coverage and reduce the cost created if multiple solutions were required. Standards based application integration: Advanced Authentication provides OAuth, SAML, RADIUS, ADFS, and REST interface that provide clients an easy way to integrate their applications. Applications can leverage Advanced Authentication’s policy engine to match the appropriate method(s) to the situation to provide the ‘right’ level of security. Web based user enrollment: Advanced Authentication framework provides an easy self-explanatory workflow for the end user registration experience, ensuring your users have no issues in using the methods you provide. Your use of the system will easily scale without impacting your help desk with registration issue. Web based administration and configuration portal: Administrative and configuration operations are web based. The interface provides for network and RADIUS configuration, database connection, configuration of all authenticators, authentication chain design (2FA/MFA) and assignment, roles delegation and other key operations in one tool. Help Desk Module: This module provides the capabilities to ensure a good end-to-end customer experience. This includes un-enrolling and assist in re-enrolling methods, assign tokens (when needed), and assignment of specific user roles. Emergency Password: Use this feature when a user has no previously enrolled authentication method available. This process allows for an emergency password to be generated for the user in these urgent situations. External Proxy: Advanced Authentication HTTP Proxy serves as a barrier between the Internet and your authentication server. Traveling and remote users have access to advanced authentication services while the server remains safe behind your corporate security. Support for non-Domain Clients: Because Advanced Authentication doesn’t require domain membership multi-factor authentication isn’t limited to just your corporate devices. Your users can bring their Windows, Mac OS X and even Linux based systems and you can enforce Advanced Authentication to your resources as needed. Event logging: Define which types of authentication events are logged for later retrieval. Typical events include both successful and unsuccessful authentication attempts, as well as changes in enrollment or configuration. Reporting: Custom reports allow administrators to identify user authentication behavior or abnormalities that may be important for their environment. Analysis can be performed on persons, authentication methods or various types of authentication trends.